Always connected, on the look out for fun and desperate to spend – millennial travellers are a dream demographic for tourist boards. No wonder Alberta is taking them seriously. With their phones ever ready to share their latest adventure, today’s young traveller can never have too much of a good thing. The ‘Millennial’ generation – that’s anyone aged 18-34 – wants authentic, cool experiences and plenty of thrills, especially those that are rated-highly and look good on social media. Alberta, like Canada as a whole, has been quick to tap into this market. The message that Canada is ‘cool, not cold’ is winning the destination plenty of profile and blogger buzz, and that in turn is luring a growing band of millennial travellers. Top of the attractions is the fact that chic metropolitan living, lively bars and cutting edge foodie culture is available just minutes from wild open spaces, adventure terrains and full-on awesome action. Alberta is, in short, uniquely placed to offer the urban in combination with the outback. For urban adventures look no further than Edmonton and Calgary. Alberta’s capital is famed for its festivals – there’s 60 every year, celebrating everything from food, music, theatre and culture – plus great shopping. The giant West Edmonton Mall boasts more than 800 stores and its own theme park, while a stroll to the Warehouse District offers the chance to sample the best in artisan coffee, cheese, chocs and pastries. 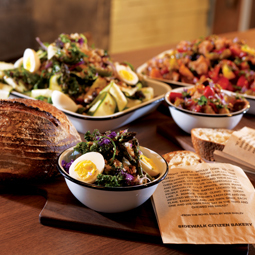 In the Arts District, modern ethnic eateries are showcasing the best in local produce. While nearby Chinatown is a riot of tastes and colours. Calgary, meanwhile, is an alluring mix of neighbourhoods where modern and historic buildings stand side by side. Reach for the sky at the top of Calgary Tower, grab a veggie smoothie in trendy Kensington, or dine out in style in eclectic Inglewood. Alberta’s outdoor attractions need no introduction. 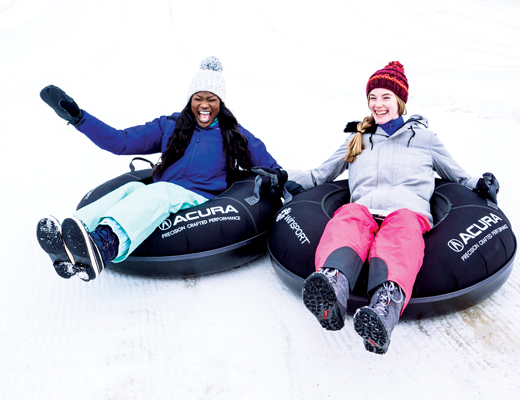 Winter months offer traditional alpine sports around Banff and Jasper, plus more challenging thrills such as ice walks and climbs, snowmobiling and even bobsleigh rides at Calgary’s Olympic Park. When the sun shines, visitors can show off their pioneer spirit in the Rockies or Canadian Badlands. Hiking, camping, canoeing, biking and horseriding are all part of western adventure. For a post with kudos, millennials can check out Calgary’s famous Stampede for cowboy colour or grab a trowel and dig in the footsteps of dinosaurs in Dinosaur Provincial Park. For sporting thrills, suggest an NHL game - hockey’s a religion just looking for converts! Picture this: Old Strathcona is the centre of Edmonton’s trendy arts scene. 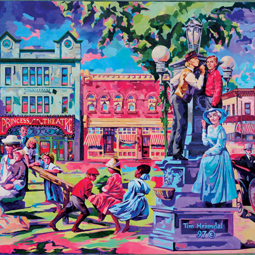 For three days each July it hosts the Whyte Avenue Art Walk, a 4km trail with 450 artists creating work outdoors. Old gold: Calgary’s Heritage Park Historical Village brings history to life, from the pioneer era of the 1860s up to the 1950s. Steam trains, cowboys and classic eats are instantly Instagramable! 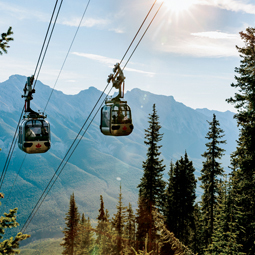 High and mighty: Switch the cameras to panoramic and head up the scenic Banff Gondola. It takes visitors 7,500ft up Sulphur Mountain and the views are beyond compare whatever time of year you visit. 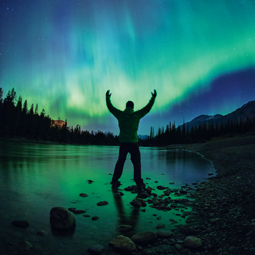 Heavens above: Jasper National Park is unaffected by light pollution, making it one of the world’s best places to sky watch. Catch the Northern Lights, gaze at millions of stars, and revel in the quiet. Have a brew: The 3.4km trek from Lake Louise to Lake Agnes is a treat. 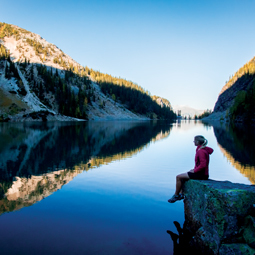 At the end, tuck in to wholesome fayre at the Lake Agnes Teahouse, perched overlooking the lake.